1,242 kilometers separate Halifax and Montreal, Canada. This is pertinent. For these were the two cities that Shrines, Purity Ring’s debut LP, was remotely conceived between. another eternity, the band’s second LP, sees Megan James and Corin Roddick recording an album in the same studio for the first time. With 2015 already providing a plethora of inter-artist collaborations, the question is therefore: what happens when members of the same band who previously had not recorded in the same room as each other, build a record from scratch, together? 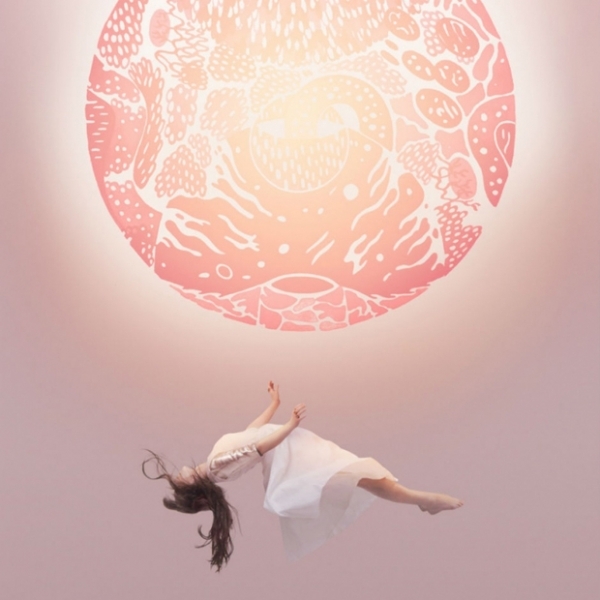 The answer unfortunately finds Purity Ring searching for identity with overthought ideas and tracks that range from the divine, to the turgid and uninspired. Shrines saw the band create labyrinthine and enigmatic pop songs. Although they did not adhere to convention, one could gorge upon delicious hooks and repeated refrains that burrowed their way into consciousness like tireless earworms, desperately looking for cerebral matter. The freeform ethos, potentially, came from the recording scenario, where songs were not purposefully built but collided together over electronic communication. With this in mind, another eternity therefore makes for a striking first listen. From the opening chords of “heart sigh” it is evident that Purity Ring are in search of something larger and have added new found pop musculature. In order to do so, the band have determinedly embraced pop structure and very rarely deviate from the traditional over the course of another eternity’s 35 minute running time. This rigid focus towards songwriting works to Purity Ring’s benefit and detriment. When Purity Ring’s inherent songwriting intelligence and guile is maintained, the album shines and soars. Several of the songs, however, are forged by such a rigid “traditional mold” that their peaks and troughs not only feel contrived but like clichés of radio-friendly, EDM normcore. Whilst others ooze of anxious, self-consciousness song writing, which may in part have come from over-thinking decisions with their new dynamic of creating in the same studio. And the record, in parts, treads the line of a musical personality crisis. Previously, Purity Ring’s dynamism built by Corin Roddick’s hip-hop and trap inspired beats served to heighten mood and arouse the listener. Tracks would undulate organically. 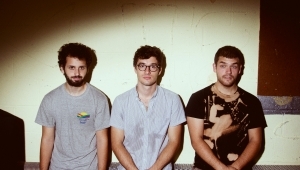 “begin again” and “body ache” however feature manufactured peaks and troughs directly plagiarized from the most recent “Radio-Hit 101” manual, with the former delivering an insipid, bludgeoning and uninspired chorus melody. While at times Shrines felt like a warm seductive breath on the listener’s neck, these songs feel like rough, fumbling hands unable to master the clasp on the proverbial bra. Several songs found on another eternity battle with their own identity intra-song. The aforementioned “body ache” opens with gorgeous auto-harp sounding synths that bounce reflectively of a simple hip-hop beat and James’ vocal cadence. Yet it decides to give way to an EDM inspired chorus, with James repeating “I” in staccato fashion against handclaps. Their anxiety to potentially move away from the sound they have been attributed to is evident as they make odd sonic decisions, which, for example, juxtaposes dull drum patterns and mind-numbing melodies against beautiful celestial lyrics such as “you be the moon/I’ll be the earth/and when we burst/start over/oh darling, oh darling” (“begin again”). “stranger than earth” further highlights this. Opening with sharp snare stabs and hi-hat rolls, it broods intensely and releases into a hip-shaking bass-snare combo to exciting effect. Its bass lurks and builds to false climaxes, playing upon the expectations of the listener. Oddly, however, mid-way through “stranger than earth”, the track pauses to unfurl rising trance synths, while James sings, “there is no lesson in magic”. Although, “stranger than earth” marginally falls the right side of success and a Tiestö shout-out at Tomorrowland, it epitomizes that some of the tracks on another eternity do not know what they are or really where they want to go. In seeking structure and focusing on “the song”, decisions regarding inorganic crescendos have suffocated their very essence at the detriment of the music they create. It is imperative to note at this stage that their evolution towards FM pop and traditional pop structure is not entirely negative and that it is solely the end product that is frustrating. Bands should evolve and seek to explore sounds. They are the artist and thus do not have to pander to nostalgia or expectation. 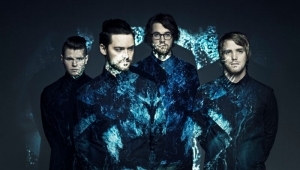 But it is the lack of inspiration within some of the tracks, such as the witch-house inspired “dust hymn” that annoys rather than their acceptance of a “more mainstream sound”. What is most exasperating is that when Purity Ring find equilibrium in structure and traditional songwriting; bombast; and their own essence, another eternity acts as a beacon of what pop music can be in the 21st Century. Album highlight “repetition” is as affecting and as brilliant as anything Purity Ring have ever put to record. It is truly a gorgeous, organic pop song. Bubbling beats mimic the embers escaping James’ “fires”, as bass intermittently caresses her vocal within the chorus. And instead of moving to an artificial peak or trough, the track glides with Shaking the Habitual-esque woodwind arrangements that brings “repetition” to a natural, graceful conclusion. These moments of restraint and intricacy serve as some of the most exciting on another eternity and remind us of that hot breath we once felt upon the nape of our neck. James and Roddick’s intelligence shines especially on lead single “push pull”, which features subtle intricacies that entice and move the listener through a weightless voyage. Those intricacies however do not lie within the beat-work, but lie within the arpeggiated synthesisers. Synth motifs effortlessly move between time signatures and velocities in such a way, which like the title of the track suggests, pushes and pulls the listener, while accelerating and decelerating the track. Synth melodies would come and go throughout Shrines but very few would share the clever interplay between tempo and dynamics that the synth work on “push pull” demonstrates. The EDM-inspired bombast is also not always negative. For one, opener “heart sigh” features snares that crack and choke amongst chopped-up vocals and ethereal, atmospheric pads, before parting to a widescreen, anthemic chorus, built to be appreciated by thousands in concert halls or festival fields. “sea castle” frazzles the auditory canal with sporadic bursts of electrifying synths that shock and exhilarate amongst its complex structure, with a plethora of drum patterns dueling a mournful piano-led melody. James’ vocal work must also be commended. 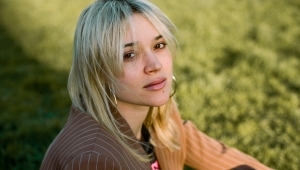 The songs have evidently been built around her voice and her lyrics, which are still incredibly vivid and mysterious. Celestial and geographic imagery, to describe love, anxiety, heartbreak and longing are exceptionally delivered. For example “push pull” contains the gorgeous couplet “I heard the plains moaning back/I saw the thunder roll o’er black”. There is an intense sexual chemistry to many of the landscapes she creates, especially within “push pull” or even when she recites in “stillness in woe”, “I built a kingdom of your throes”. “stillness in woe”, the piano-led closer of the record, features clever lyrical and instrumental interplay as nauseating sounds match her calls of “seeing double”. another eternity also marks a change in her narrative voice, with much of the record being illuminatingly self-referential. “sea castle” features for example the exposing, “I could build a big machine/draw pictures for the walls/hang up all my fragile thoughts/displayed you might see”. And throughout another eternity there are constant references to “I”, “me” and “we”. Although Roddick’s beat patterns are nowhere near as intricate as before, the record is in part elevated by James’ performance that on occasions, proves to be nothing short of stunning. James, in a recent interview with Spin, described the creative process of Shrines as “kind of oppressive”. They however channeled that oppression and battled to create a unique and lasting imprint on the pop battlefield. Without the limitation of distance, and creating in the studio together, Purity Ring have not only seen their work simplify but also suffocate from their rigorous focus on “the song”. It is, most simply put, an overthought record. And at its worst, another eternity unfortunately struggles to distance itself from the post-EDM wasteland of FM pop. In the end, another eternity leaves us somewhere in the middle, to contemplate the excellent and the bland.